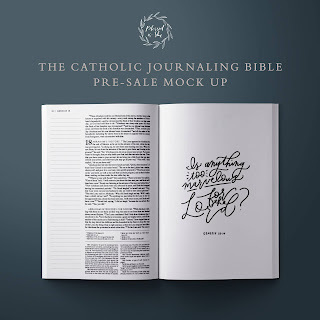 Through a joint venture of the Blessed Is She community and OSV, there will finally be a full Catholic Journaling Bible released later this year, with early shipping occuring in January. The translation used is the NABRE. I'd like to know if this bible is only for women. Thanks for answering. First we have a "Bible in a Year" - based on the RSV2CE! 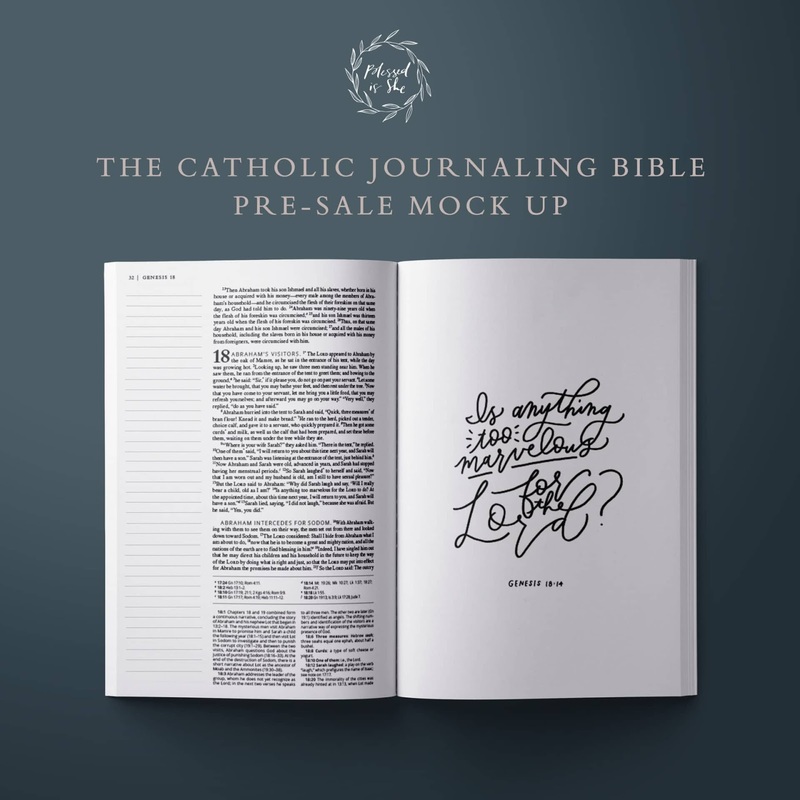 - with nice commentaries and it's even available in leather...and then we find out there's FINALLY going to be a Catholic journaling Bible???? Next they'll tell us the Ignatius Study Bible will be done in 2018. Okay, I took that a bit too far. I apologize. Awesome! I've been bible journaling in my didache bible with no extra margins. I also have a journaling bible nlt version and I just don't like that translation so I don't use it! I can't wait to see how this one compares. I was overjoyed to find this after my family tried in vain to purchase me a lovely bible than was very similar but very Protestant. Obviously missing a few books, but now I know where to point them! And as much as the NABRE is not my favorite translation, I am glad they chose the "official" translation we hear at Mass (even though the Lectionary is a tad different) since most parishes seem to use the NABRE for bible studies as well. Hopefully this beautiful bible will encourage more Catholics to own, carry, study, and pray with a personal bible that can be well-read, loved, and handed down to the next generation. Well, I'm torn. I like the idea of a journaling Bible but I'm just not a fan of the NABRE. Maybe its being a lector for as many years as I have because I see all the troubleshooting and awkward punctuation, phrasing and syntax. I prepare for a Sunday reading and I'm thinking, "I can barely understand what this saying so how in the world can I read so that those in the pews have a prayer of understanding it. This is one of the reasons I'm leaning toward the Scribe Bible with the Message for personal reading and journaling. Obviously it is short a few books, but I like the translation as a change of pace especially for personal prayer and reflection. I agree that the Scribe Bible is pretty fantastic, from what I have seen. I own the Canvas one too, but am thinking about getting the Scribe. The MSG seems ideal for a journaling bible.